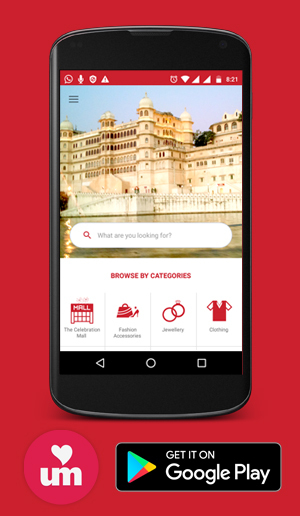 Ganpati Plaza at hathipole in Udaipur is a clothing unit. A complete showroom of badhani sarees, dress material, miniature painting and textile. It has an exclusive range of old and new embroidery jewellery. 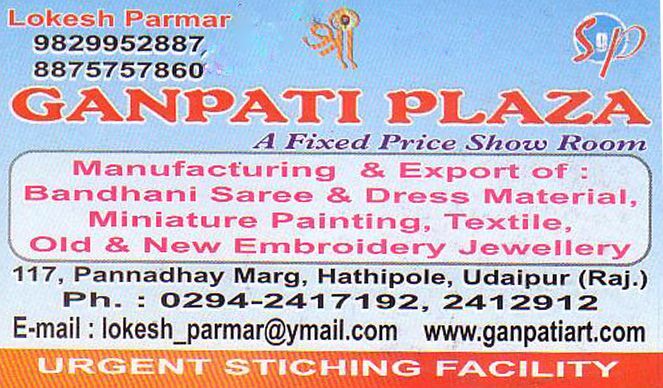 Ganpati plaza is manufacturer and exporter of all its products. Urgent stitching facility is also available.